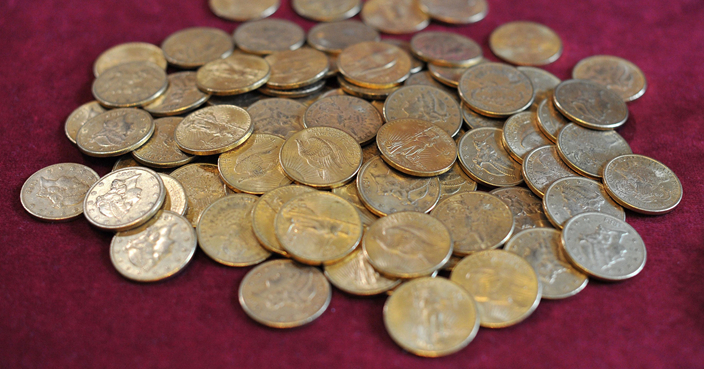 These coins are not for spending. To most of us the humble coin has just one function, but in the hands of a skilled craftsman they become something much more intriguing. 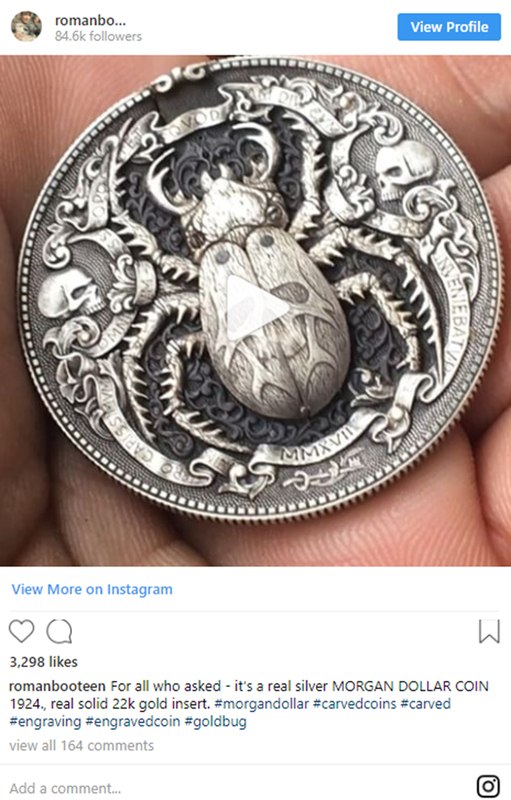 Roman Booteen is the artist behind some of the most intricate and magical coins around. 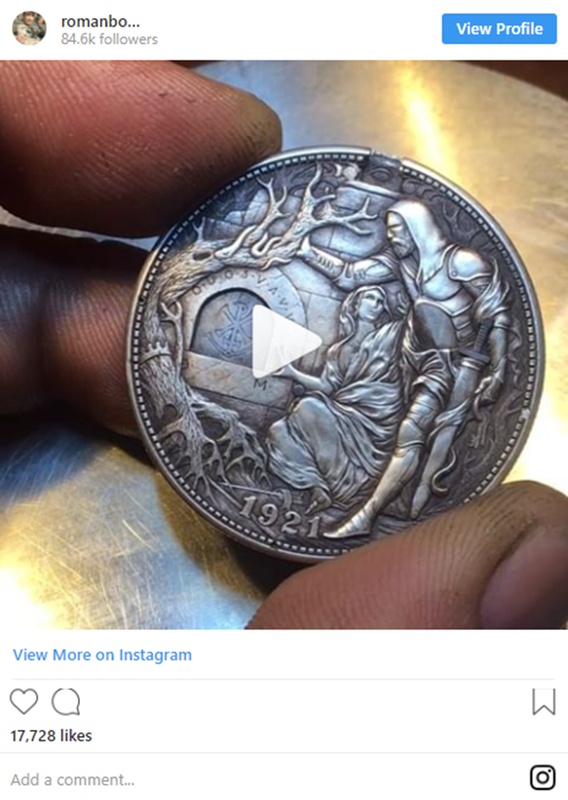 Through a meticulous process of carving, he brings coins to life with secret mechanisms like something out of a fairy tale. Just take this Holy Grail-inspired effort – not only does it look a lot better than your average 10 pence piece, it does more too. The coins are not just impressive in terms of style either – this bug conceals a real gold insert when the correct button is pressed. 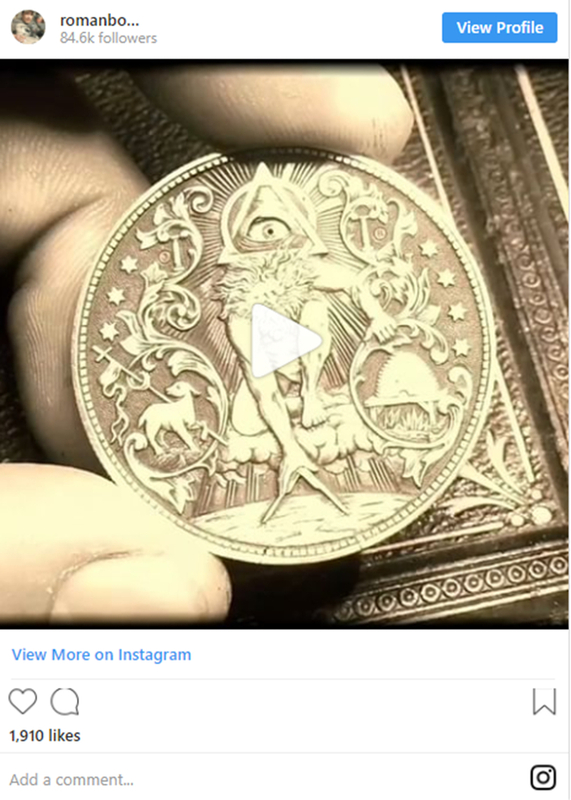 However, while the coins are admired by thousands of followers on Booteen’s Instagram account, they don’t come cheap. 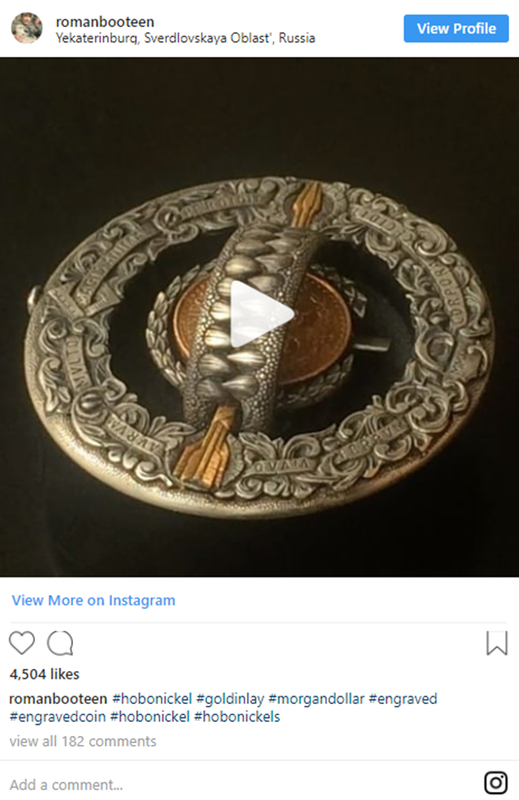 Each coin is unique, so while the starting price is always 99 cents on eBay, this one reportedly went for around 10,000 dollars. You know what they say: in for a penny, in for 10,000 dollars.